I had an idea that I wanted to encase Valentine candies in resin to make jewelry. I had a hard time locating the conversation candy hearts that are my childhood memory of Valentine sweets. It turns out that NECCO (New England Candy Company) is no longer making them (out of business?). The only similar ones I could purchase locally were by the Brach candy company. Sadly, they were of poor quality with rough shapes and faint words. My husband did find some better conversation heart candies online, but they will arrive after Valentine's Day....sigh! Anyway, I used silicon molds (from HM Ben Franklin Crafts) to form the resin hearts. 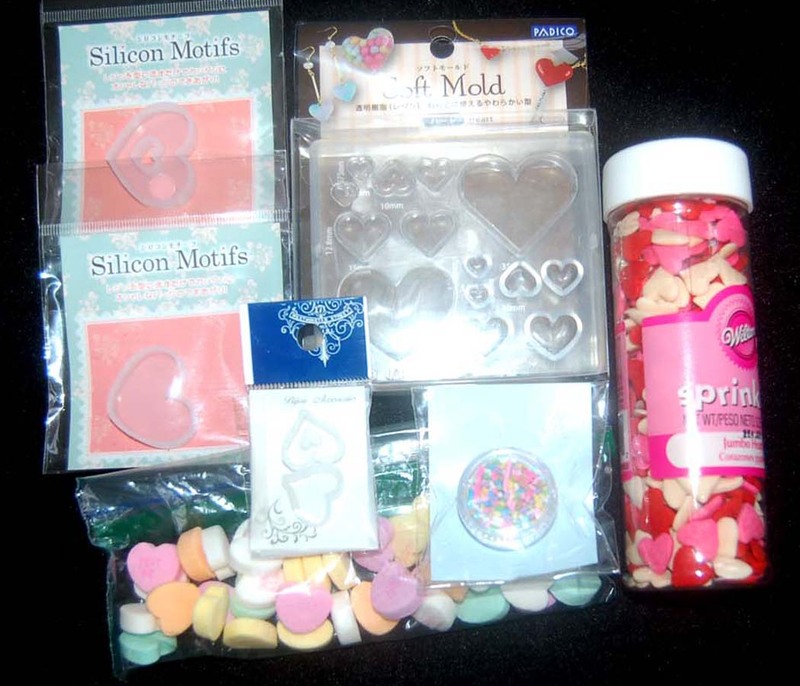 For the tinier molds I encased Wilton cake decorations and cookie/cake sprinkles. The HM BFC resin department also has artificial sprinkles that I used in some molds. I am pleased with how these projects turned out especially the purse charms. I plan to resin onto the back of the solid charm a photo of my twin grandsons. 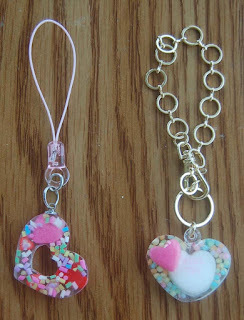 TIP: If your resin charms have rough edges you can file them down with a glass nail file. Happy Valentine Crafting! 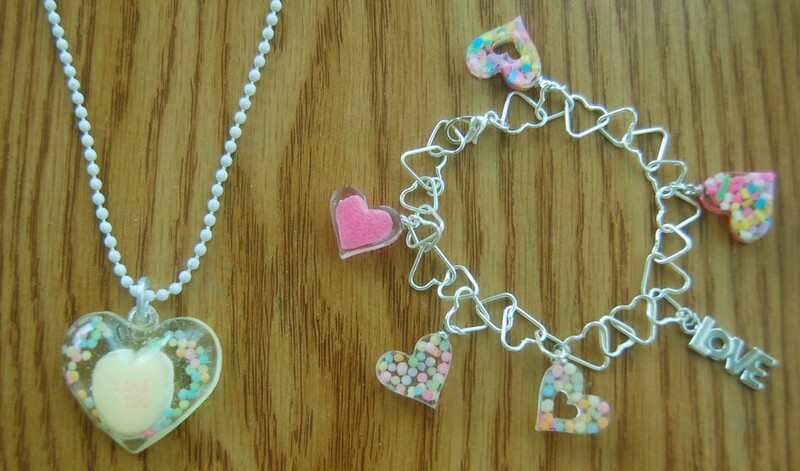 Oh, these are soooooo cute and colorful Lynn. You did a fantastic job. I remember the conversation heart candy too. Back in the day. Wow! These are so SUPER COOL! Love how these turned out and how neat that you can encase real candy in resin ... wow! Girl you are rocking these resin projects.. This is such a sweet combo I totally love it. yay for hearts.